This section contains previously published pamphlets, anthologies and shorter works on or about Filipinos in Hawaii that are either out of print or difficult to locate. All materials here are copyrighted and should be properly cited when used. You need Adobe PDF Reader to view files. Filipino Immigrants in Hawaii: A Profile of Recent Arrivals was published in 1985 as a joint publication of the East-West Population Institute of the East-West Center (Honolulu) and Operation Manong (UH-Manoa). Contributors include Amefil Agbayani, Fred Arnold, Fe Caces, Benjamin Carino, James Fawcett, Robert Gardner, Julia Hecht, Rene Rivas, and David Takeuchi. Cite as: Agbayani, Amefil; et. al. Filipino Immigrants in Hawaii: A Profile of Recent Arrivals. Honolulu, HI: The East-West Population Institute and Operation Manong, 1985. http://efilarchives.org/publications (accessed [date downloaded]). 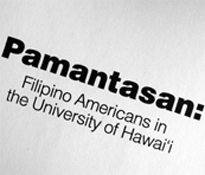 Click [here] to go Filipino Immigrants in Hawaii download page. 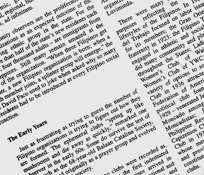 The Filipinos in Hawaii: the First 75 Years was published in 1981 by the Hawaii Filipino News as a supplement to the book, Out of this Struggle, which was published by the 75th Anniversary Commemoration Commission in the same year to mark the 75th anniversary of the coming of Filipinos to Hawaii. Cite as: Dionisio, Juan C., ed. The Filipinos in Hawaii: the First 75 Years. 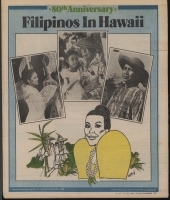 Honolulu, HI: Hawaii Filipino News Specialty Publications, 1981. http://www.efilarchives.org/publications (accessed [date downloaded]). Click [here] to go to Filipinos in Hawaii download page. 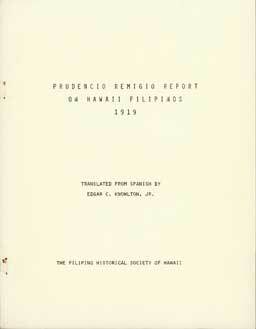 The Report of the Filipino Commissioner in Hawaii to His Excellency, the Governor General and the Honorable Secretary of Commerce and Communication, Government of the Philippine Islands, by Prudencio A. Remigio, now simply known as "The Remigio Report," is the 1919 report to the Philippine Assembly describing the labor conditions in Hawaii. At the time of the report, Remigio was a member of the Philippine Assembly. Originally written in Spanish, it was translated by Edgar C. Knowlton, Jr. of the University of Hawaii at Manoa and previously distributed, in 1982, by The Filipino Historical Society of Hawaii (now, The Filipino-American Historical Society of Hawaii). Cite as: Remigio, Prudencio A. Report of the Filipino Commissioner in Hawaii to His Excellency, the Governor General and the Honorable Secretary of Commerce and Communication, Government of the Philippine Islands, 1919. Translated by Edgar C. Knowlton. Honolulu, HI: Filipino Historical Society of Hawaii, 1982. http://www.efilarchives/publications (accessed [date downloaded]). Click [here] to view or download Remigio Report (40 pages, 3.1MB). 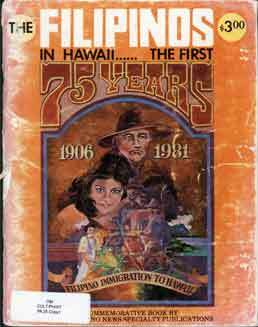 Filipinos in Hawaii: 80th Anniversary was published in 1986 by the Hawaii Newspaper Agency, Inc. as an advertising supplement to July 22 (Tuesday) issue of the Honolulu Star-Bulletin to commemorate 80 years of Filipino migration to Hawaii. This publication is made available courtesy of the Honolulu Star-Advertiser. Cite as: Honolulu Star-Bulletin Staff, ed. Filipinos in Hawaii: 80th Anniversary. Honolulu, HI: Hawaii Newspaper Agency, Inc., 1986. http://www.efilarchives.org/publications (accessed [date downloaded]).